Demand forecasting is critical to sales and operations planning (S&OP), but the effects of sales promotions can be difficult to forecast. Typically, a baseline statistical forecast is judgmentally adjusted on receipt of information from different departments. However, much of this information either has no predictive value or its value is unknown. Research into base rate discounting has suggested that such information may distract forecasters from the average uplift and reduce accuracy. 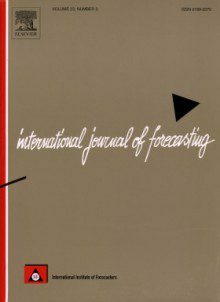 This has been investigated in situations in which forecasters were able to adjust the statistical forecasts for promotions via a forecasting support system (FSS). In two ecologically valid experiments, forecasters were provided with the mean level of promotion uplift, a baseline statistical forecast, and quantitative and qualitative information. However, the forecasters were distracted from the base rate and misinterpreted the information available to them. These findings have important implications for the design of organizational S&OP processes, and for the implementation of FSSs.